It occurred to me as I was about to consider this article complete that I needed to make sure to preface the article with a caveat. 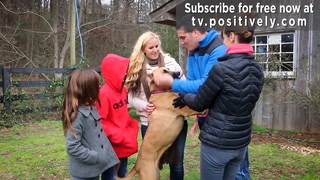 Client compliance IS important with regards to affecting a change in your dog’s behavior for the better. But what is even more important is hiring a qualified behavior consultant/trainer that uses a modern reward based methodology to help your dog. Because YOU are your dog’s voice. Please don’t comply with anything that is meant to hurt or scare your dog into changing what they do. That isn’t behavior modification. That is abuse. So who you choose to help your dog is important. That said, let’s talk about what is needed to create positive choices! I’ve been in this business for longer than I care to admit now. There are some things that are constant with client inquiries but one thing is less common than one would think. Yet I am still surprised when I hear this question. What question, you wonder? Well, no. I can’t possibly guarantee results. Sometimes that causes the potential client to never be heard from again, but most of the time, my explanation of why I don’t make that commitment makes sense to them. That gives me hope for dogs being more widely understood. Dogs are sentient, thinking beings. They have a choice in how they act and what behaviors they reach for. Emotions can and do affect their actions. I cannot guarantee that they reach for the behaviors that I help them learn no more than a therapist can guarantee that their human clients use appropriate coping mechanisms. What I can do is to teach you how to set your dog up so that the right choice becomes more obvious and comfortable to him. What I need for this is your help, dear dog parent. YOU are the key to success. I cannot do this alone. Compliance with my instructions, as well as consistency with implementation, is what goes a long way toward a form of a guarantee. Repetition is crucial to changing brain patterns. I see current clients pretty regularly but YOU live with your dog. You are in charge of consistency and repetition. I can only show you how. You are the facilitator. 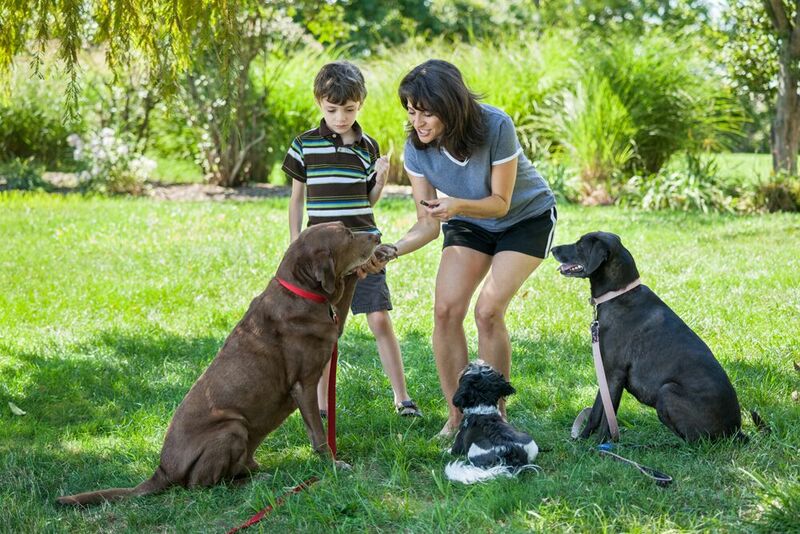 Those of us who use modern rewards-based methodology teach dog parents how to interact with their dogs in such a way that they are more likely to get the behaviors that they are looking for. That, along with management and setting up the environment to succeed, will help your dog to feel immensely safer. Safety is the top of the ladder of needs of every sentient being. Feeling safe means something different to every dog but the basics of food, water, housing, appropriate elimination needs, physical and mental stimulation are all a part of safety. More on the subject of safety is here. The largest part of safety needs, however, can often be feeling safe in saying "no" to interactions. This is the one that creates so many problems with an abundance of clients. Dogs have the right to have a say in what happens with their own bodies and whether they want to interact with anyone, emergency needs aside. Unfortunately, this isn’t a luxury that many dog parents allow their dogs. That creates a huge problem with feeling safe. 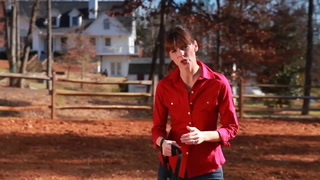 Teaching dog parents how to keep their dogs feeling safe is a part of almost all client sessions. It is the number one rule that I expect to be followed as part of my instructions to clients. Yet it’s one of the ones that is most frequently overlooked. More on that subject here. I will try to highlight the reasons so that those who need to better understand why they should make the time, will actually do so. Let’s imagine that you are trying to change a current habit of yours such as smoking, staying up too late, losing weight, etc. If you do things exactly as you have done up until the moment that you decided that you are now serious about this goal, would you truly expect anything to change? Or would you set into motion the support and daily changes that you know will help you achieve your goal? If you really have your heart set on this goal, then you know that the latter is your key to success. Helping your dog to make better choices is no different. But in this scenario, you are in charge of making those changes. You cannot simply wave a magic wand and have your dog be different. In order for your goals for your dog to be achieved and a better quality of life to be created for everyone involved, YOU need to set the plans in motion. Not just some of the plans, but all of the plans. Of course, not every suggestion made by every behavior consultant for each client’s situation is going to be THE ONE that changes the outcome. But please understand that we work in layers. In many cases, one suggestion supports another suggestion and strengthens the possible outcome. Providing a well-cushioned approach to your dog’s behavior concerns are how we best ensure that you achieve success. Clients who make an effort to follow through on each and every suggestion have the greatest success. And we are always there to answer questions if there is a concern about a suggestion. The only way to find out how crucial to success each suggestion is, is to simply ask. I once had a client refer a co-worker to me for her new dog’s issues. 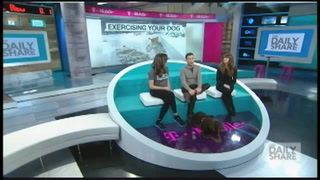 She told the co-worker that whatever I suggested, she should simply do it, even if I suggested putting a pink tutu on her dog. 🙂 Now of course that has never been included in any client summary that I have ever written, but I won’t rule it out in the future. But I much prefer this approach to having arrived at a client’s home for a second session and being told “Spot still does this and this and this” and then asking “did you do this and this and this as suggested?” and being told “no, but….” “No, but” doesn’t fix anything. Setting your trainer’s plan into active motion is what will accomplish your goal. A modern behavior consultant doesn’t expect you to set aside x amount of hours per day to work on specific training cues. What we do teach you is how to live your life with your dog differently so that you set your dog up for success. This is how you make steady progress. Minute by minute, day by day, week by week. This is how new brain patterns are formed. Consistency and repetition. When you create a steady pattern of feeling safer so that your dog reaches for the preferred behavior, you will have tipped the scales over to the side of what you want to see more of. This is how new habits are formed in all living beings. Be your dog’s change for the better. Help us help you achieve your goals for your dog. You will never regret it. We will both then be success stories. Win/win all around.